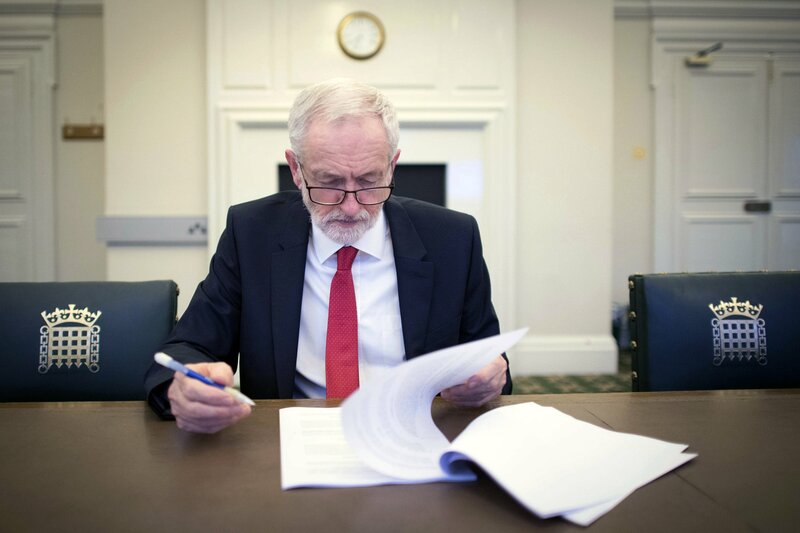 LONDON — Britain’s Brexit secretary denied Wednesday that he was offering a “blank check” to the opposition Labour Party after Prime Minister Theresa May offered to meet with the party leader in hopes of ending the impasse over the U.K.’s departure from the European Union. “We’re not setting pre-conditions, but nor is it a blank check,” Barclay said. Following the defeat of the government’s plan and a range of lawmaker-written alternatives, May said Britain would need a further delay to its EU departure, currently scheduled for April 12. She offered to hold talks with Labour Party leader Jeremy Corbyn in an attempt to find a compromise solution. Labour’s business secretary suggested May’s offer was long overdue, but that the opposition would enter talks with an open mind.